A couple of weeks ago, I had the chance to attend the Microsoft Azure Certified for Hybrid Cloud Airlift in Bellevue WA, which is close to the Microsoft campus in Redmond. I had the chance to spend the week there and talk with the Microsoft PG about different Azure Stack scenarios. Most of the discussions and presentations are under NDA, but there are a few things I can share, since they are publicly announced. I prepared this blog post already a couple of months ago, when I was talking to a lot of different customers about Azure Stack, and since then Microsoft also shared some new information about the release of Azure Stack Technical Preview 3. Microsoft announced Azure Stack at Microsoft Ignite in May 2015. Back at this time Microsoft did only mention about the vision of Azure Stack and that it will bring cloud consistency between the Microsoft Azure Public Cloud and your Private Cloud. But Microsoft did not really announce exactly what Azure Stack will be and how it will be implemented in your Datacenter. During the Microsoft World Wide Partner Conference (WPC 2016), Microsoft announced more information about the availability of Azure Stack. For more information, you can read the Microsoft blog posts, but I tried to summarize the most important parts. This is probably the most important part about Azure Stack today. Microsoft Azure Stack will bring Azure consistency between the Microsoft Azure Public Cloud and your Private Cloud or your Hosters Service Provider Cloud using the Azure Resource Manager. 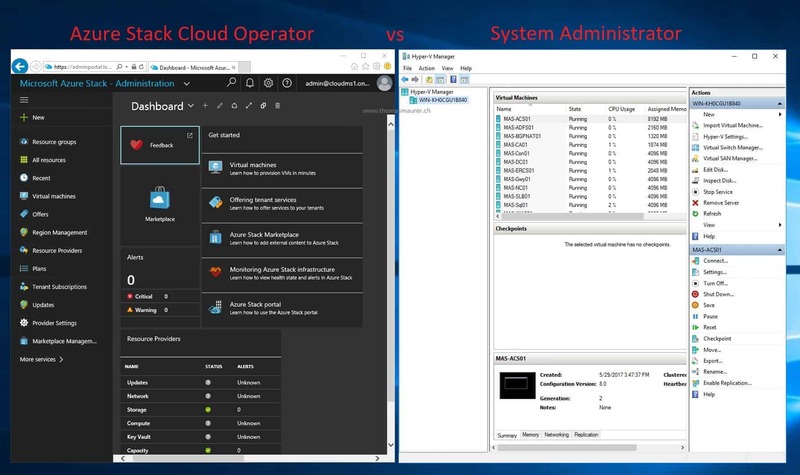 So you will be able to not only operate an Azure-like environment, like you could with Windows Azure Pack and System Center, you now get real consistency between Azure and Azure Stack. You not only get the exact look and feel from the Microsoft Azure Public Cloud, you also can use the same Azure Resource Templates and deployment methods as you can in the Public Cloud. This allows customers to really operate in a Hybrid Cloud environment, between the Microsoft Public Cloud, their own Private Cloud and also local Service Provider Clouds. Bring the agility and fast-paced innovation of cloud computing to your on-premises environment with Azure Stack. This extension of Azure allows you to modernize your applications across hybrid cloud environments, balancing flexibility and control. Plus, developers can build applications using a consistent set of Azure services and DevOps processes and tools, then collaborate with operations to deploy to the location that best meets your business, technical, and regulatory requirements. Pre-built solutions from the Azure Marketplace, including open source tools and technologies, allow developers to speed up new cloud application development. Microsoft announced that Azure Stack will be available as an appliance from different hardware vendors in Mid 2017. The confirmed hardware providers delivering Azure Stack Appliance at this point in time will be: Dell EMC, HPE and Lenovo and later in 2017 we will also see an appliance from Cisco, Huawei and Avanade. The big difference here is that Microsoft delivers the Azure Stack platform first in an appliance way, which is really different from the way they delivered Windows Azure Pack. Windows Azure Pack was based on System Center and Windows Server and every customer could design his own environment based on their needs. This was great, but also had some huge challenges for customers. Clouds needed different designs, this ended up in very complex design workshops where we basically discussed the customer solutions. The installation and configuration of a Windows Azure Pack platform was also very complex and a lot of work which needed a lot of resources, knowledge and of course a lot of project costs. Before customers could start saving money, they had to invest money to get things up and running. Of course, system integrators like itnetX and others, built automation to spin up clouds based on Windows Azure Pack, but still the investment needed to be done. 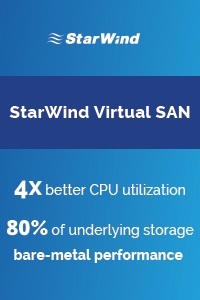 The use of an appliance approach not only helps to spin up clouds faster, but also build environments on tested hardware, firmware and drivers. Another point here which makes a great case for an appliance solution, are management and operations. Management and operation of a cloud-like environment is not easy, doesn’t matter what software you are using. Keeping the platform stable, maintained and operational will end up in a lot of work, especially if every cloud looks different. The last thing I want to mention here is upgrading, if you want real Azure consistency, you need to keep up with the ultra-fast pace of the Azure Public Cloud, which is basically impossible or extremely expensive. An integrated system scenario can really help you keep things up-to-date, since updates and upgrades can be pre-tested before they are released for you to deploy. This will help you save a huge amount of testing since every environment looks the same. As already mentioned, Azure Stack will be delivered as an integrated system. OEMs, will help you to setup and install your Azure Stack appliance in your datacenter, but they will not fully manage the integrated system. You will need to have some Cloud Operator managing and operating your Azure Stack. 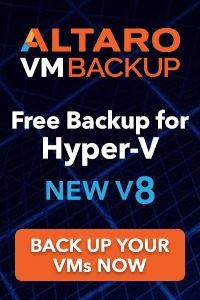 With this all the host will be sealed and administrators do not have access to the hosts or Hyper-V Manager or Failover Cluster Manager to mange the systems. Instead, Administrators or Cloud Operators will manage the system for a management portal. Since this is an integrated system, you don’t even need to care what it is running in the background. But still for a lot of us it is still very interesting to see how Azure Stack is built. In the back Azure Stack runs on “common” rack mount servers from HPE, Dell, Lenovo and Cisco, for HPE this is the DL380 Gen9. From the software stack it is running Windows Server 2016, and the Software Define Datacenter features such as Storage Spaces Direct, the new Windows Server 2016 Software-Defined Networking Stack an Hyper-V. In the release version of Azure Stack we will see a Hyper-Converged Storage Spaces Direct architecture starting from 4 nodes. On top of this Microsoft used code from Azure to bring the Azure Resource Manager, Azure Resource Providers and the Azure Portal to the Azure Stack. Very early in the development process of Azure Stack, Microsoft releases Technical Previews to customers, so they could test Azure Stack on one node deployments. This is called the Azure Stack POC and you can download it today on a single physical server, and it was only designed for non-productive, non-HA environments. Microsoft officially announced that they will rename the Azure Stack POC to Azure Stack Development Kit after the General Availability Mid 2017. This is really a great solution to quickly spin up a test environment of Azure Stack without having to invest in hardware. In March 2019, Microsoft announced a new hyper-converged virtualization solution call Azure Stack HCI, check it out here on my blog. 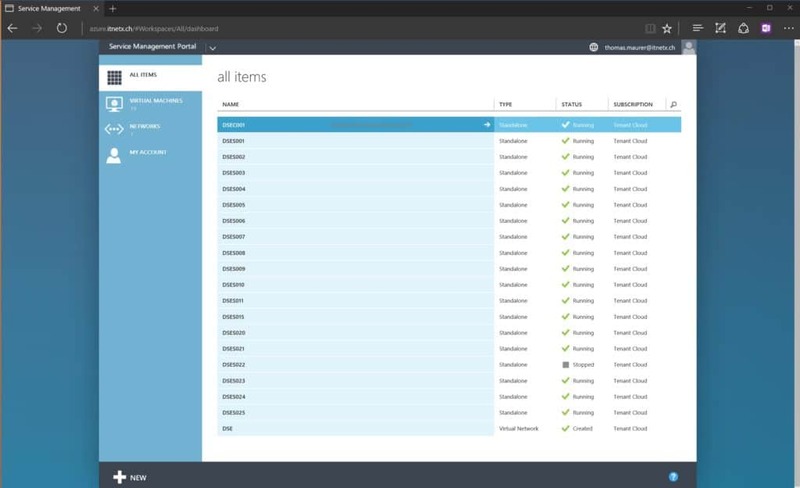 You will be able to create your own Marketplace items in Azure Stack, building your own templates and images and offer them to your customers. One of the greatest editions Microsoft made in the Azure Stack Technical Preview 3 is the Azure Marketplace Syndication. This allows you to get Marketplace items from Azure and offer them in your Azure Stack offering to your customers. With that you don’t need to build all Marketplace items by yourself. Azure Stack has to be integrated into your datacenter. In terms of Identity, Microsoft allows you to use two ways to integrate. First, and from my site the preferred option, is Azure AD (AAD) which allows you to integrate with an existing Azure Active Directory. 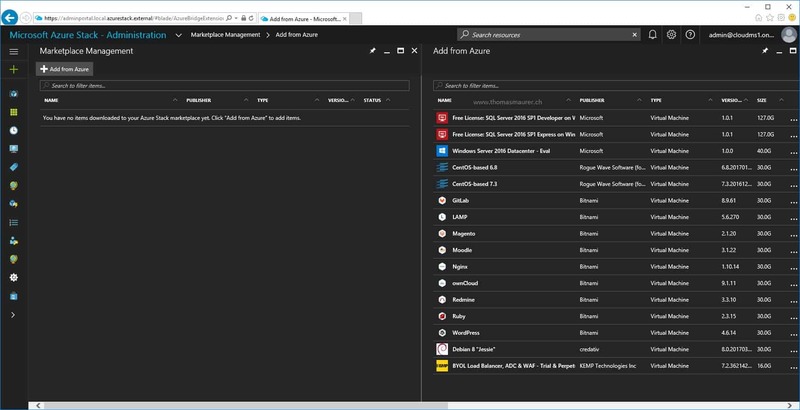 Azure AD can be synced and connected with your on-premise Active Directory and this will allow you to login to Azure as well as Azure Stack. The other option Microsoft is offering is using ADFS to bring identities to your Azure Stack. Since Azure Stack is consistent with Microsoft Azure, the question comes up, why are we not just using Azure. There are many good reasons to use Azure, but there are also some challenges with that. Azure Stack can make sense in a couple of scenarios. Data Sovereignty – In some cases data cannot be stored outside of a specific country. With Azure Stack, customers have the option to deploy in even their own datacenter or on a service provider within the same country. Latency – Even Microsoft offers a solution to reduce network latency to Azure, with using Azure Express Route, in some scenarios latency is still a big issue. With Azure Stack can customers place Azure very close to the location where resources are accessed from. 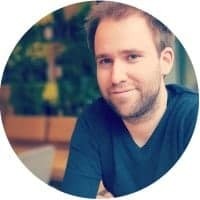 Disconnected Scenarios – In some scenarios you really want to benefit form the consistent deployment model, and for example use Azure Resource Manager (ARM), but not everywhere on earth do you have access to Azure or sometimes you have a very bad connection. Think about cruise ships or other scenarios where you need to run IT infrastructure but you are not able to connect to Azure. Private Instance of Azure – For some companies shared infrastructures can be challenging, even security standards in Azure are extremely high, it is not always an option. With Azure Stack, companies can basically spin up their completely own instance of Azure. Differentiation – Service Providers or even Enterprise companies cannot only use the Azure Marketplace, but they can also build their own solutions for the Azure Stack and make them available to their customers. As mentioned Microsoft will offer Azure Stack from 5 different OEMs. HPE, Dell and Lenovo will deliver a solution at GA in mid-CY17, Cisco and Huawei will be available later. The hardware needs to be bought directly from the OEM or Partner. 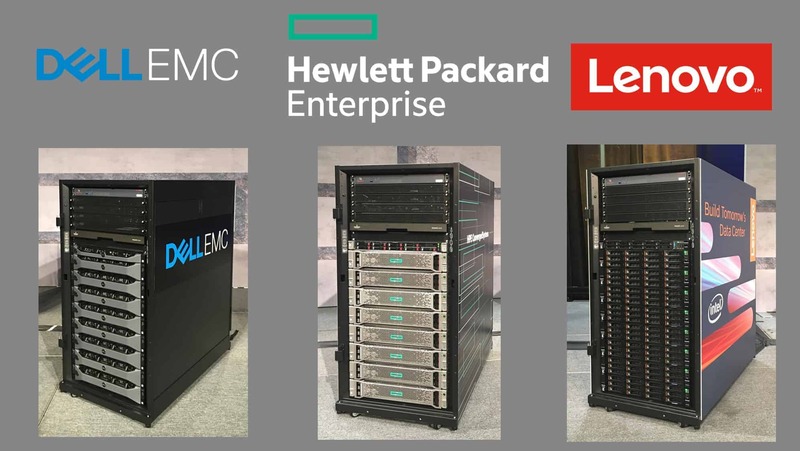 Some of the also offer a flexible investment model like the HPE Flexible Capacity. For the pricing model, Microsoft decided to deliver the licensing of Azure Stack on a pay-per-use base. 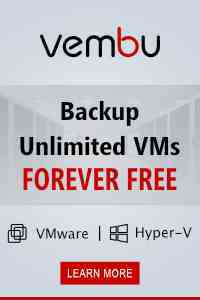 This meets of course the cloud economics and there will be no upfront licensing costs for customers. Services will be typically metered on the same units as Azure, but prices will be lower, since customers operate their own hardware and facilities. For scenarios where customers are unable to have their metering information sent to Azure, Microsoft will also offer a fixed-price “capacity model” based on the number of cores in the system. 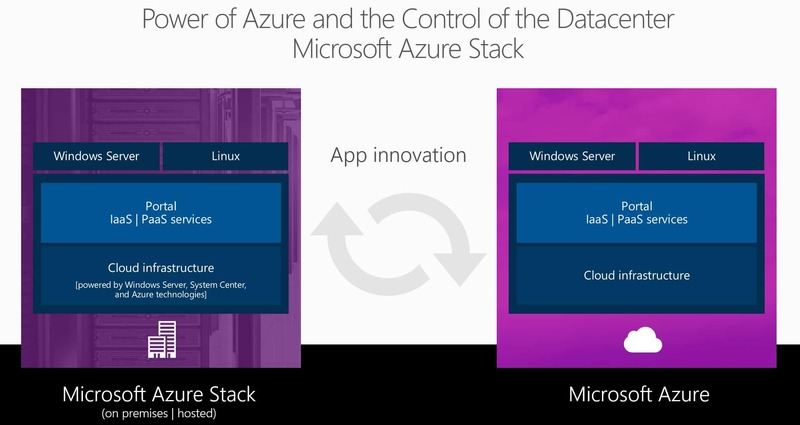 Azure Stack will be offered in two different models, Pay-as-you-use model and Capacity model. The pay-as-you-use model is licensed by Microsoft via the Enterprise Agreement (EA) or Cloud Service Provider (CSP) programs. The capacity model is available via EA only. It is purchased as an Azure Plan SKU via normal volume licensing channels. For typical use cases, Microsoft expects the pay-as-you-use model to be the “most economical” option. For the pay-as-you-use model you will you can take advantage of the cloud economics and only pay for resources which are actually consumed, plus additional costs for the Azure Stack hardware and the operations. For the capacity model, two packages are available which makes you license the physical cores of your Azure Stack system via an annual subscription. The packages are only available via Enterprise Agreement (EA). You will also need additional licenses if you deploy Windows Server and SQL Server virtual machines, like you would do if you are using your traditional Hyper-V servers. 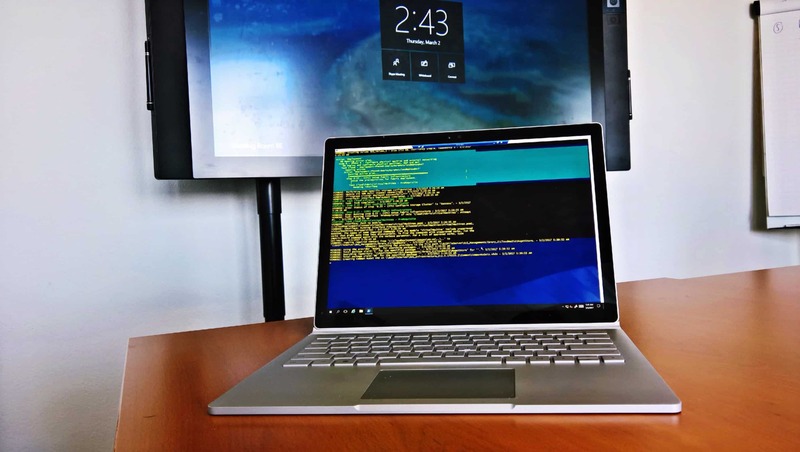 Support – you will need to purchase support from Microsoft for software support and a support package for the hardware from the hardware provider. If you already have Premier, Azure, or Partner support with Microsoft, your software support is included. Service Providers – Service Provider can also license Azure Stack to others using the CSP (Cloud Solution Provider) channel. At the Azure Stack GA release this summer, Microsoft will deliver hardware with provides from HPE, Dell and Lenovo. Later in 2017 Microsoft will also deliver Azure Stack with Cisco, Huawei and Avanade hardware. Azure Stack at GA will support 4-12 nodes, 1 single scale-unit and a single region. After GA, Microsoft will continuously deliver additional capabilities through frequent updates. The first round of updates after GA are focused on two areas: 1) enhanced application modernization scenarios and 2) enhanced system management and scale. These updates will continue to expand customer choice of IaaS and PaaS technologies when developing applications, as well as improve manageability and grow the footprint of Azure Stack to accommodate growing portfolios of applications. Please be reminded that this will not just be a product you purchase, think about it as a service which will add features and functionality over time. Obviously, Microsoft is pushing Azure Stack since it will bring consistency to the Azure public cloud, which means your companies and people need to understand the advantages of using methods like DevOps and Infrastructure in code. 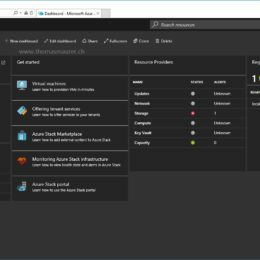 This will help you to make the most out of Azure Stack and the Azure Resource Manager. If you already have Microsoft Azure know-how, this is great, because it will also apply to Azure Stack. No worries, if you are not there yet, or for some reason this doesn’t make sense to you, Microsoft still has a great solution to build traditional Virtualization platforms together with automation using System Center, Windows Server and if needed Windows Azure Pack. Both solutions, System Center and Windows Azure Pack, will be supported in the future and will get updates. Shows the new Windows 8 User Interface and a lot of new Windows devices.